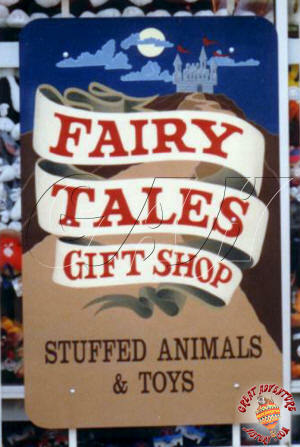 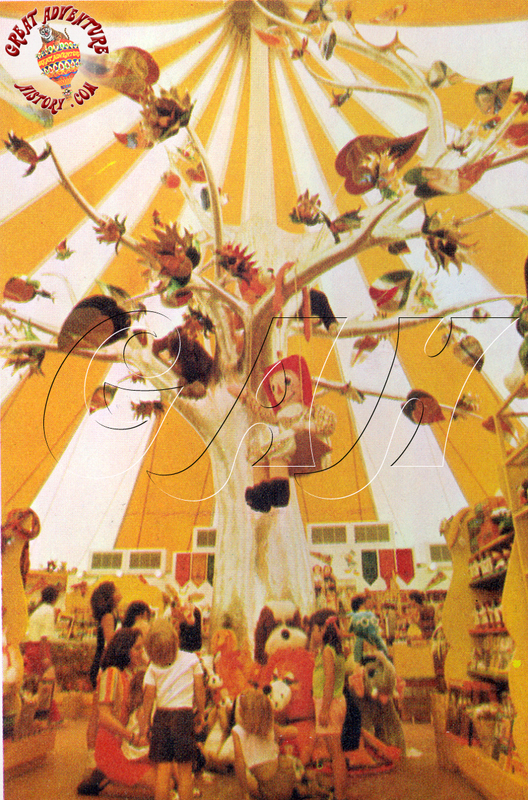 The youngest guests of any park are a big consumers of souvenirs like stuffed animals and toys, and Great Adventure featured a wide variety of that merchandise in Fairy Tales. 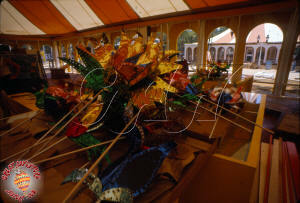 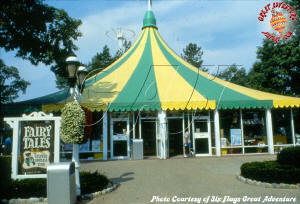 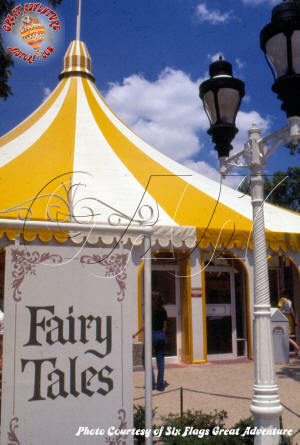 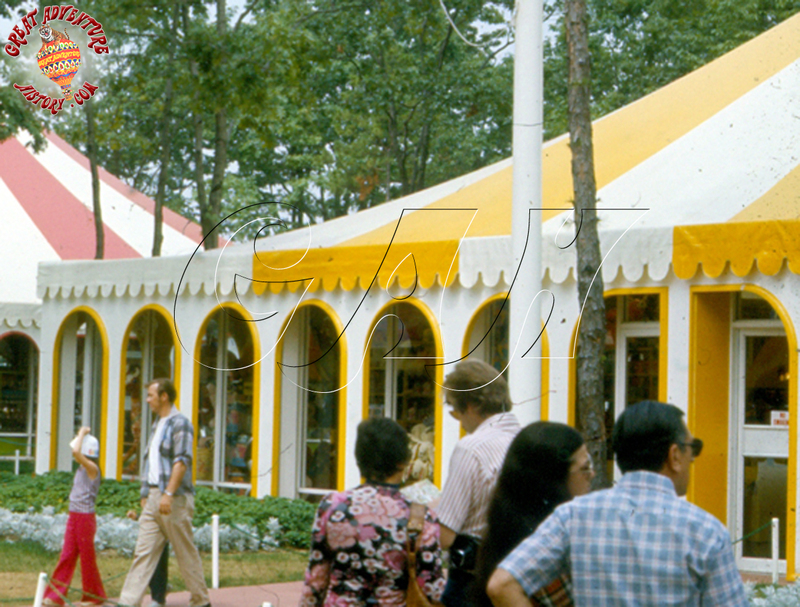 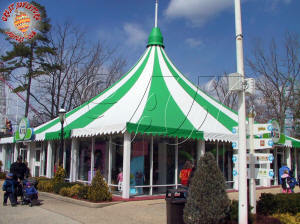 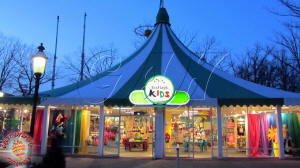 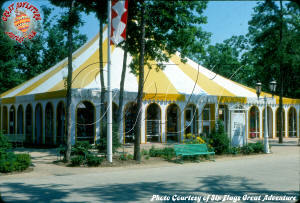 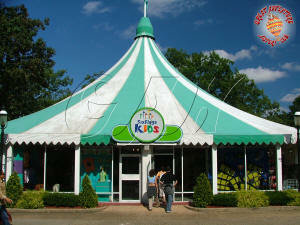 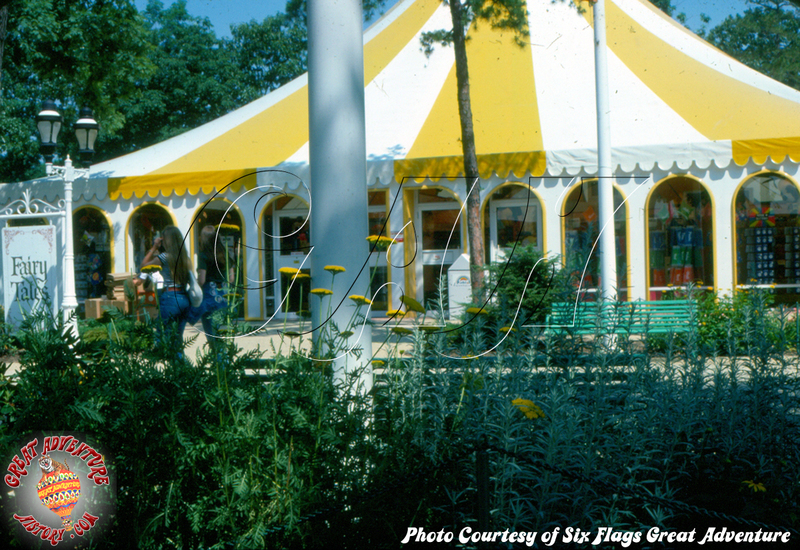 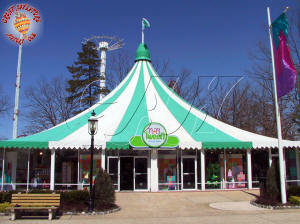 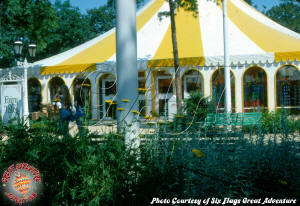 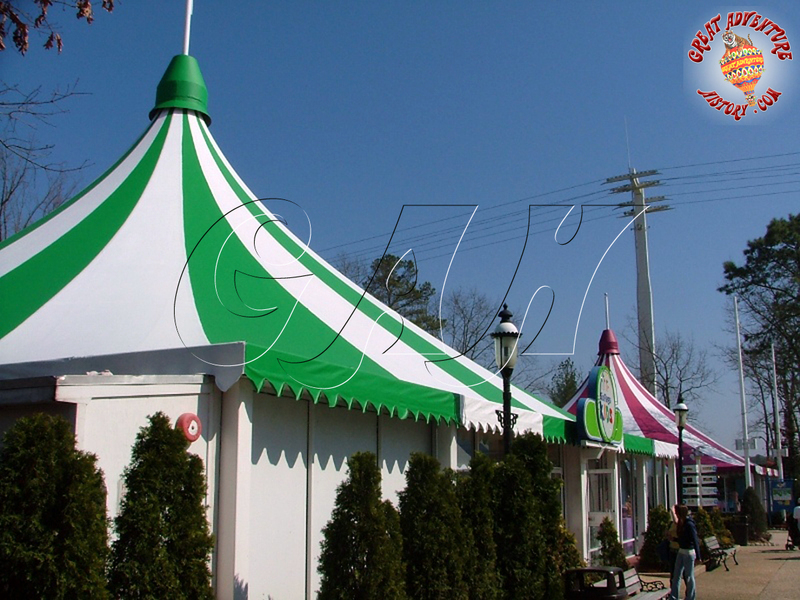 Without a doubt the most spectacular of the four tent shops was Fairy Tales, the shop aimed squarely at the youngest guests. 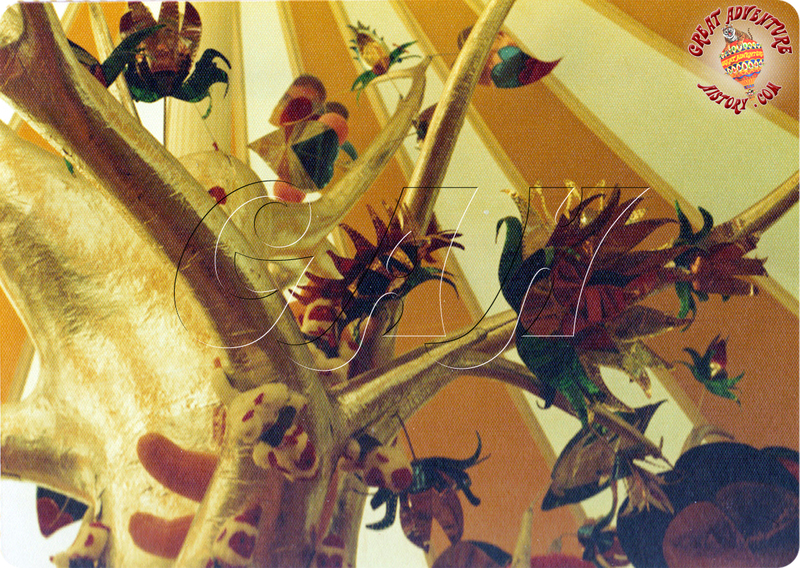 The silver tree with its bright foil leafs was an amazing centerpiece. 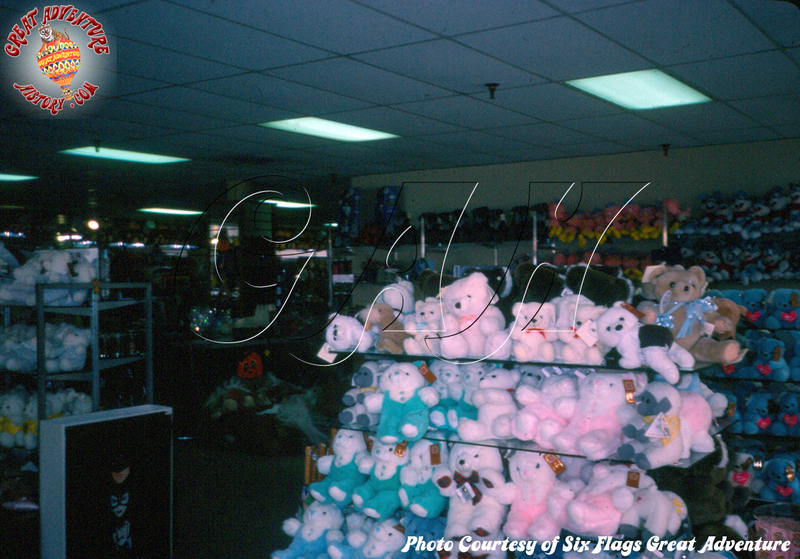 Within the store stuffed animals of every shape, size and type along with other toys and kid oriented souvenirs were available. 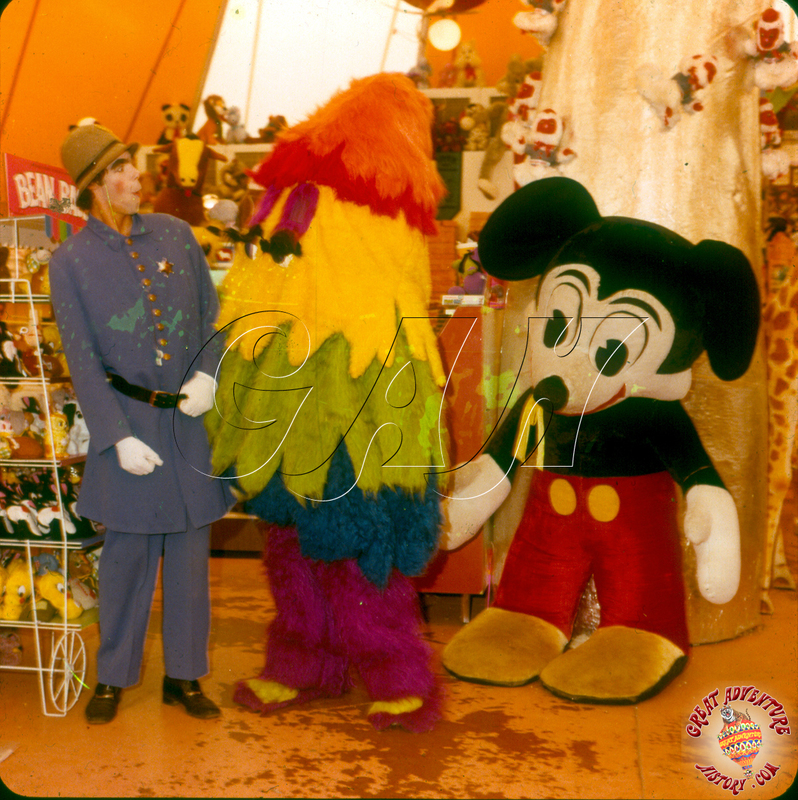 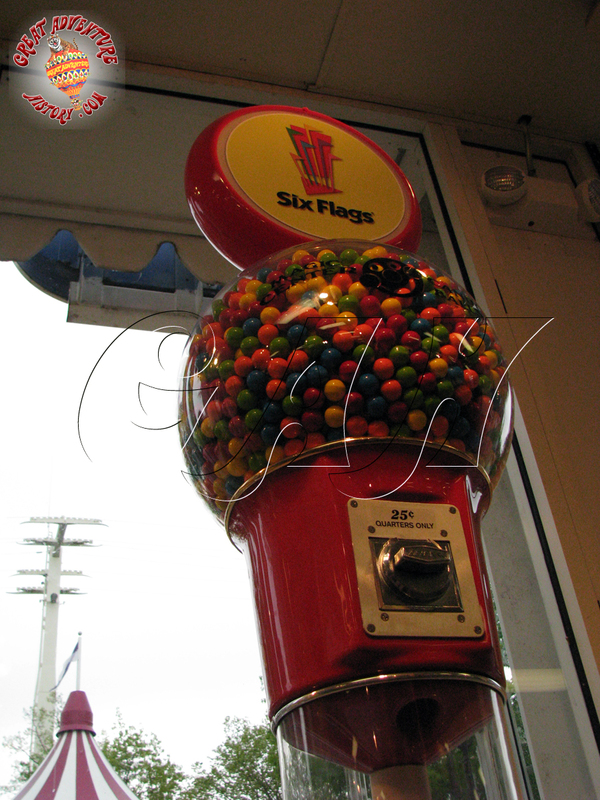 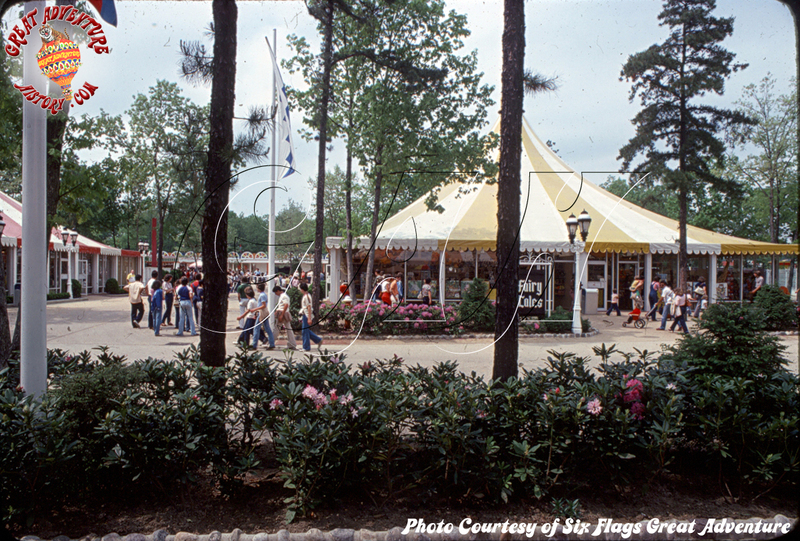 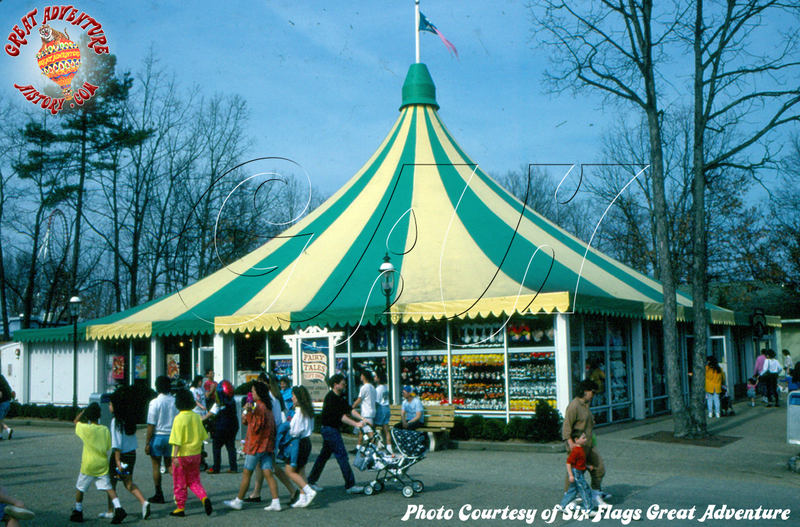 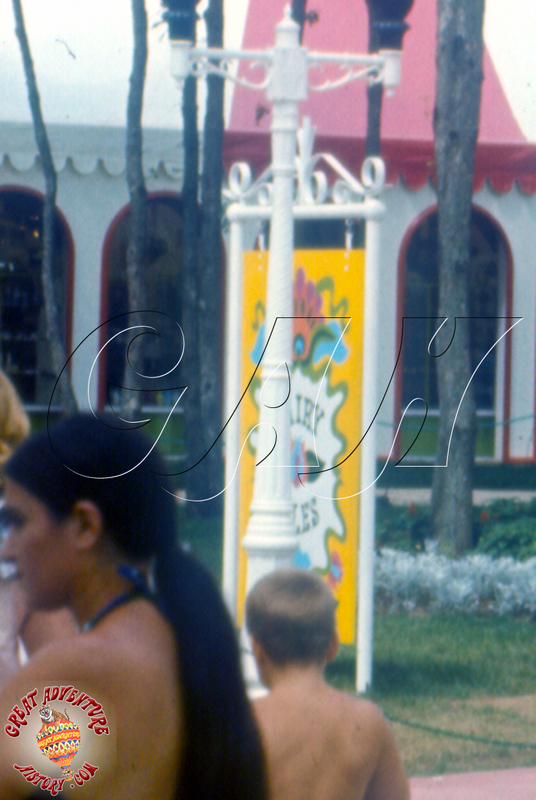 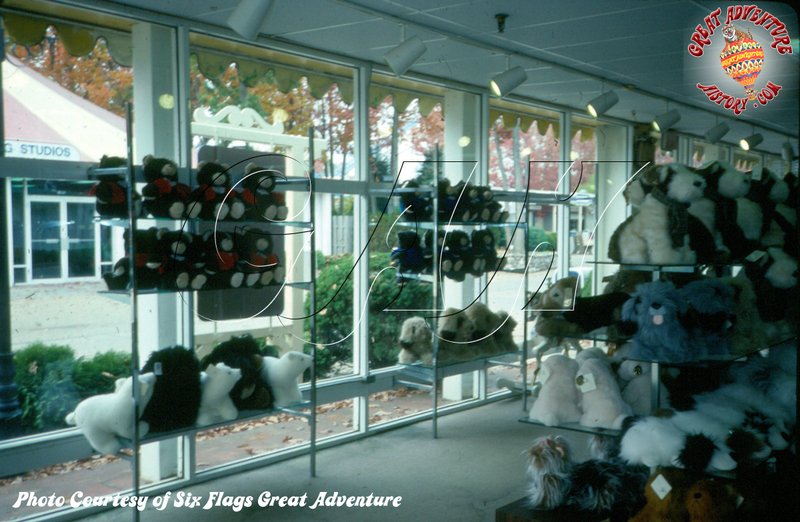 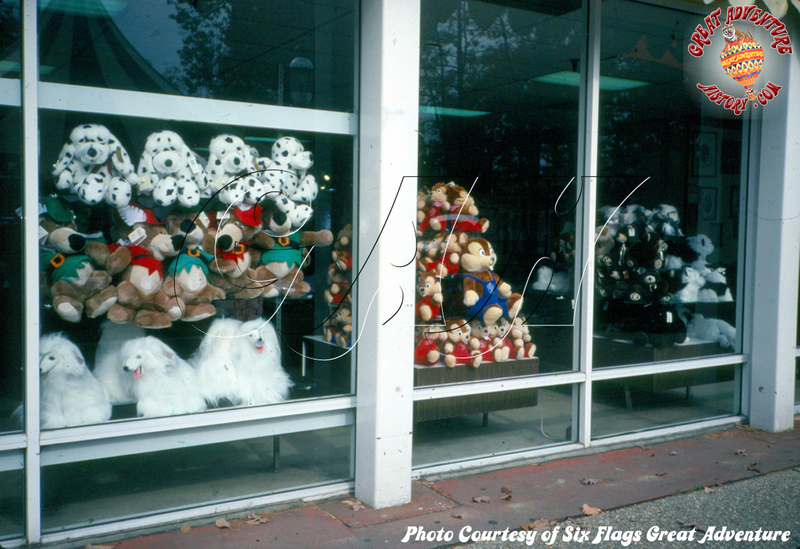 In the early years before Six Flags purchased the park the park had its own characters, so they featured toys and stuffed animals from all over...Disney, Raggedy Ann, Holly Hobby, Warner Bothers, Hanna Barbera, Peanuts and just about anything else you can think of. 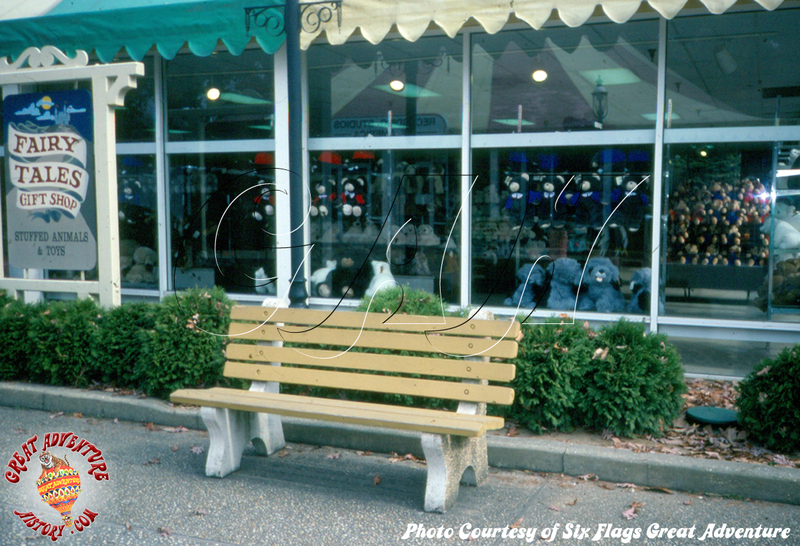 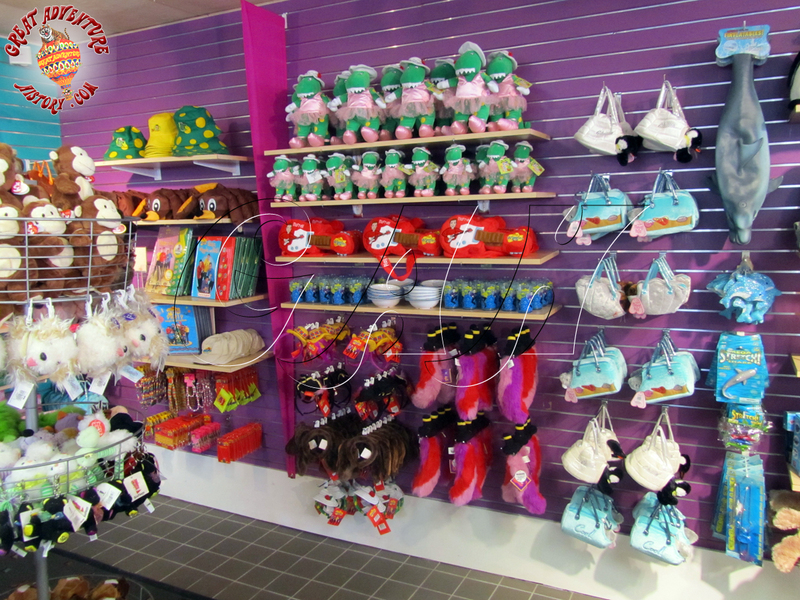 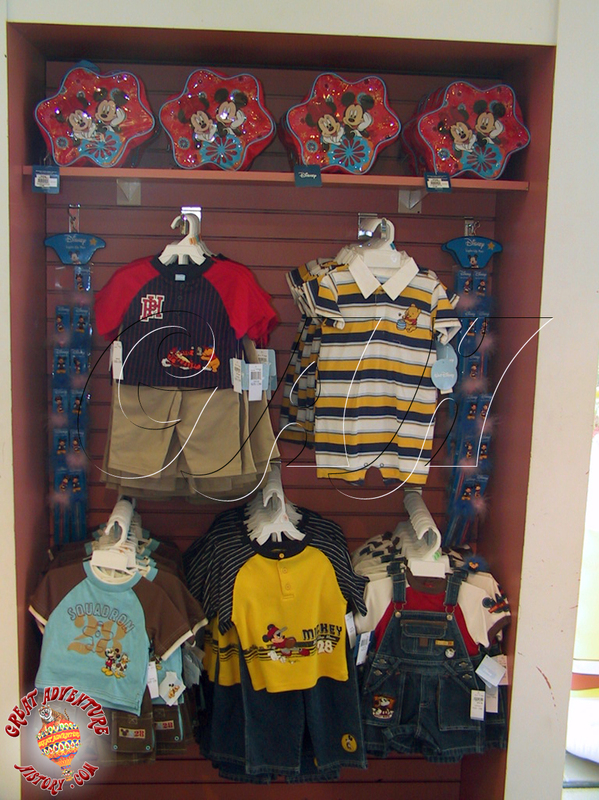 Over time the merchandise selection transformed as trends changed and additional shops opened in the Main Street area of the park. 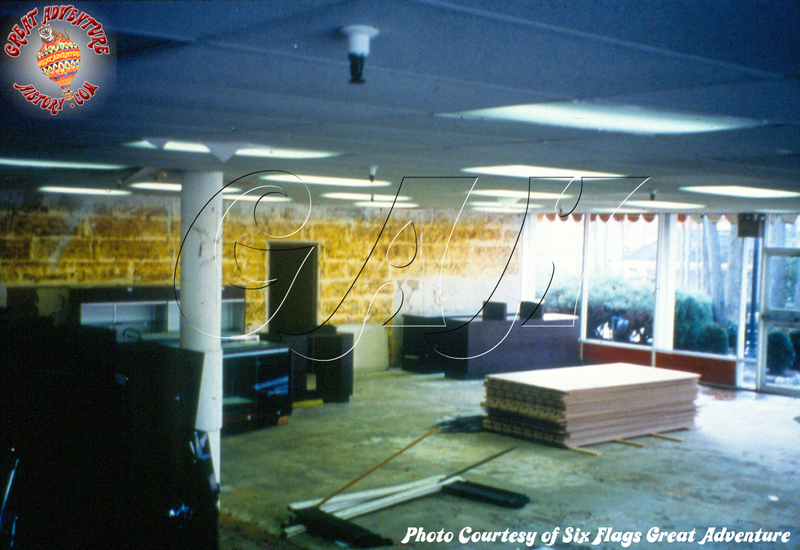 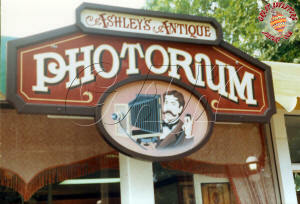 For a time the building was subdivided to create a home for Ashley's Antique Photorium, the old time photo studio. 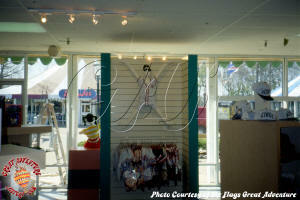 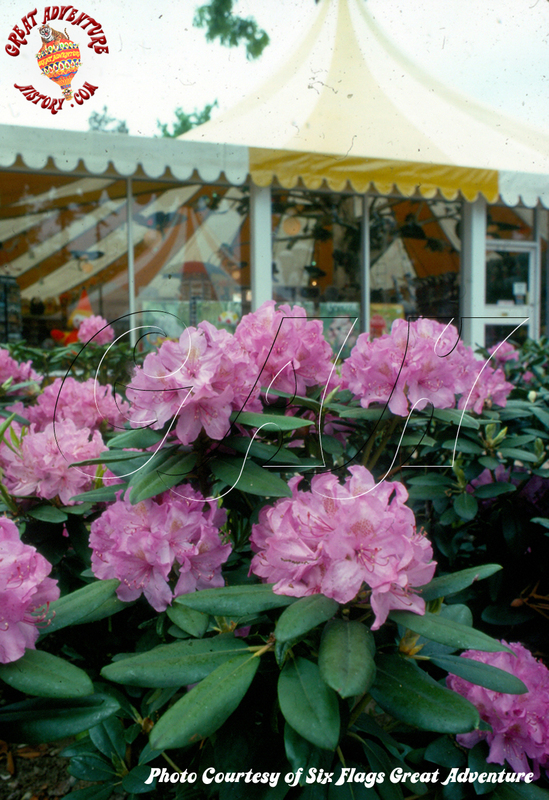 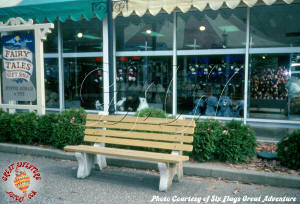 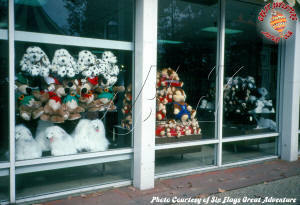 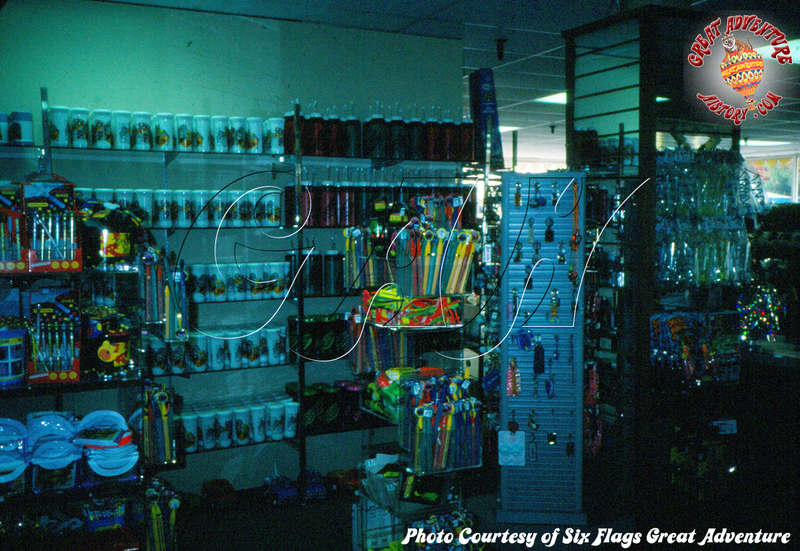 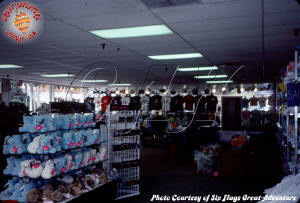 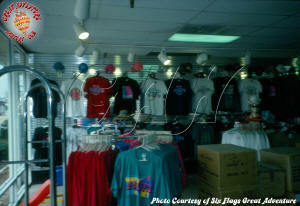 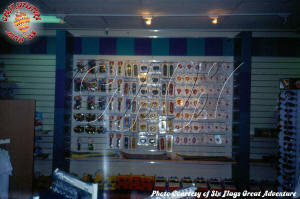 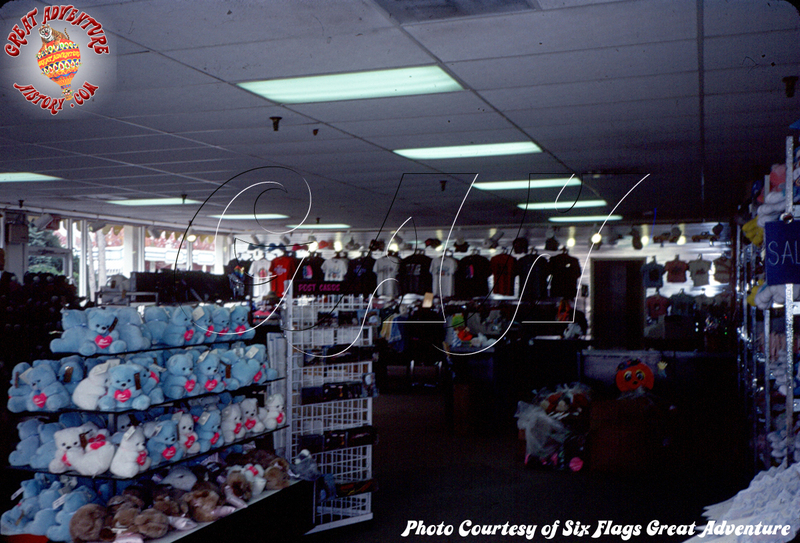 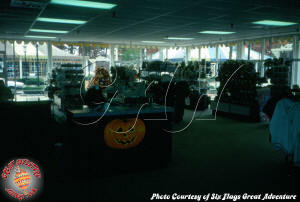 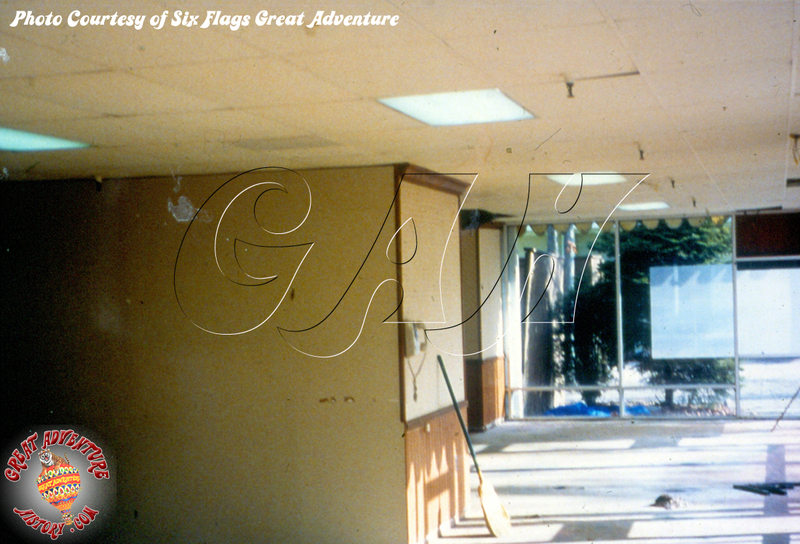 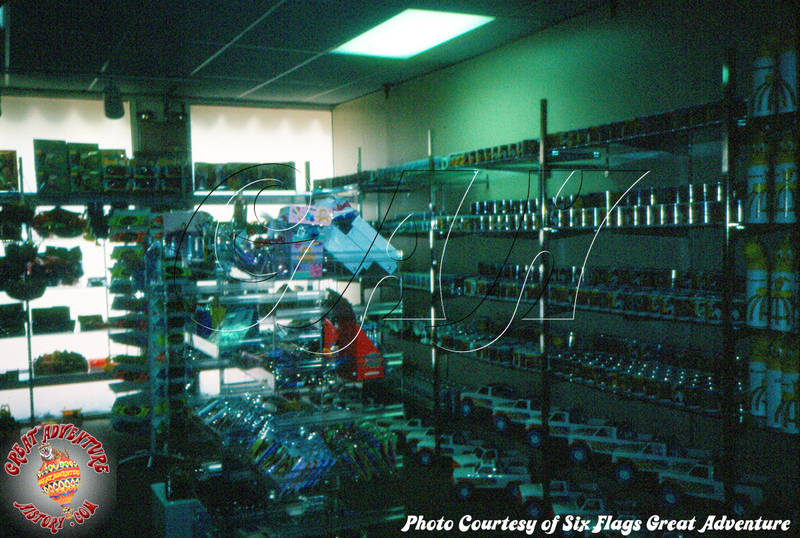 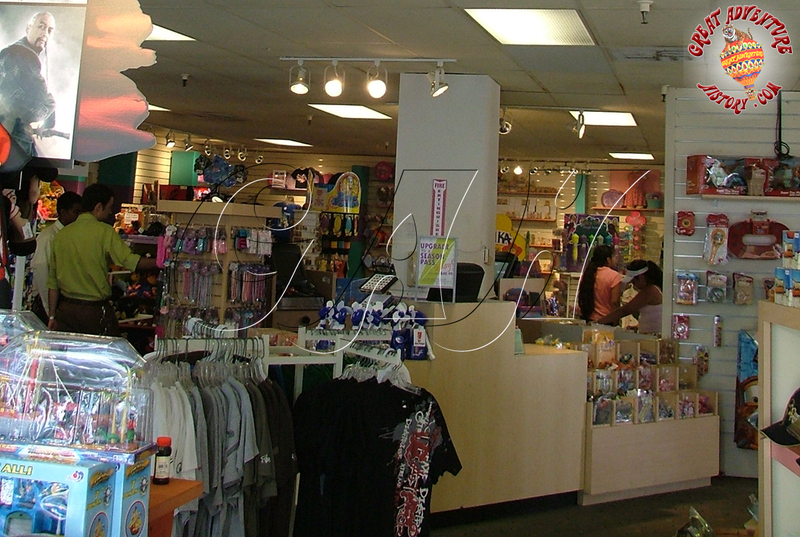 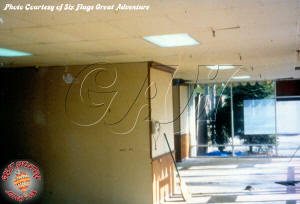 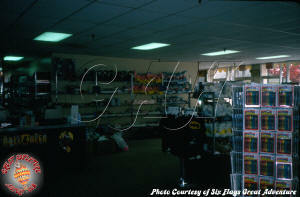 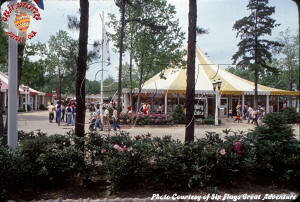 Through the 1980's and the early 1990's the shop lost its direction becoming a shop full of generic souvenirs and t-shirts. 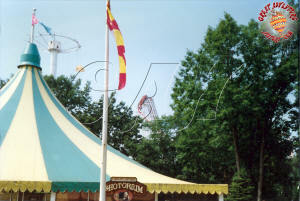 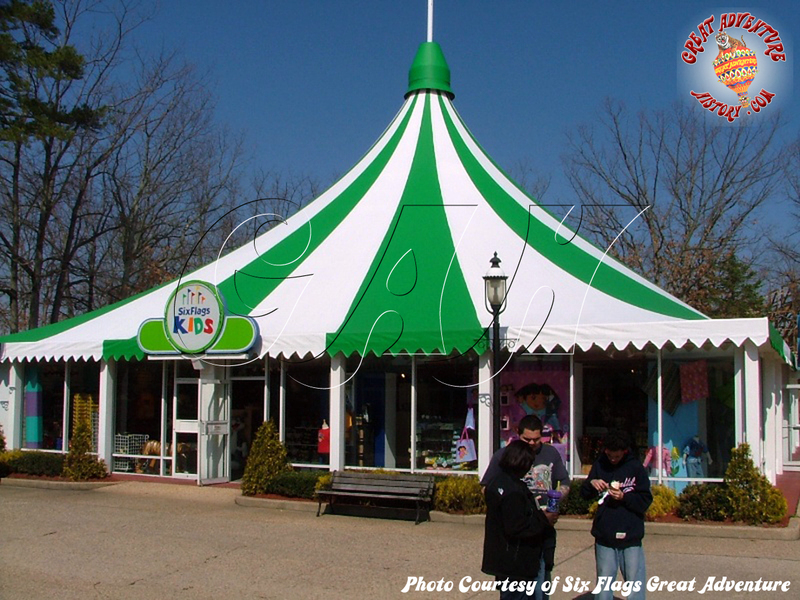 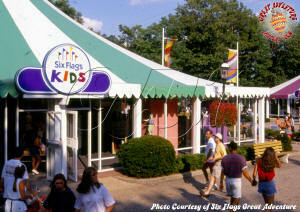 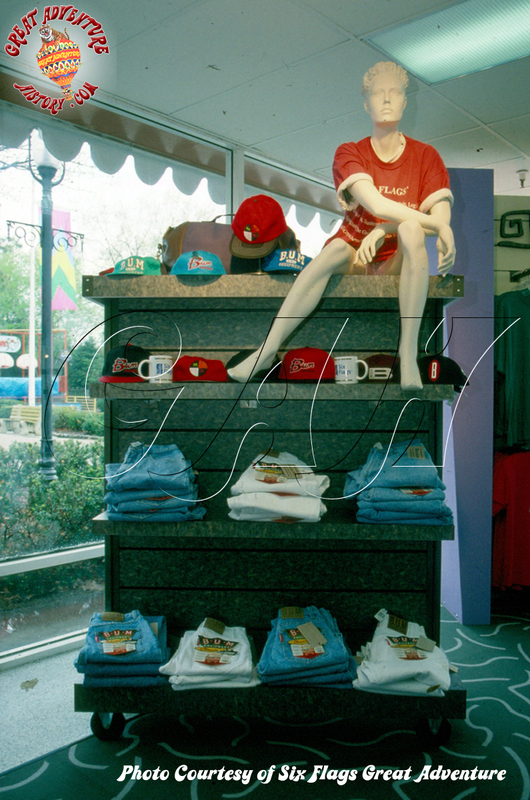 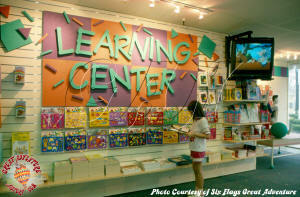 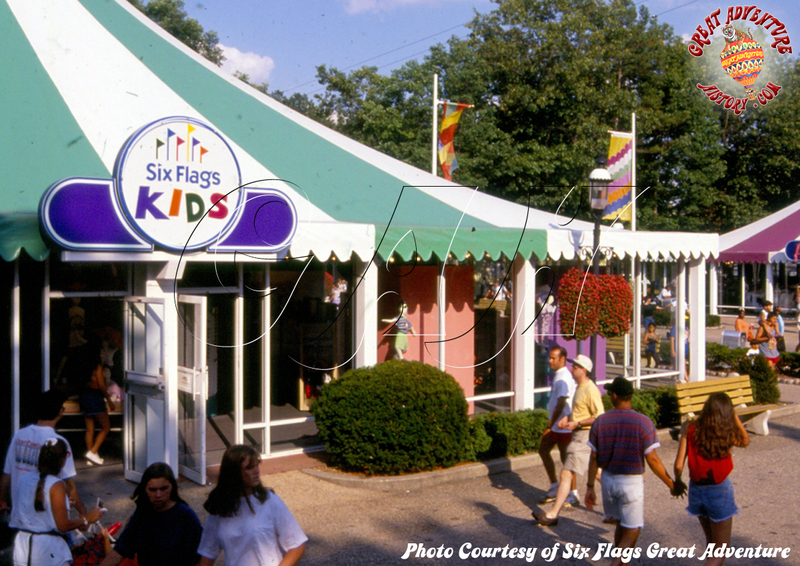 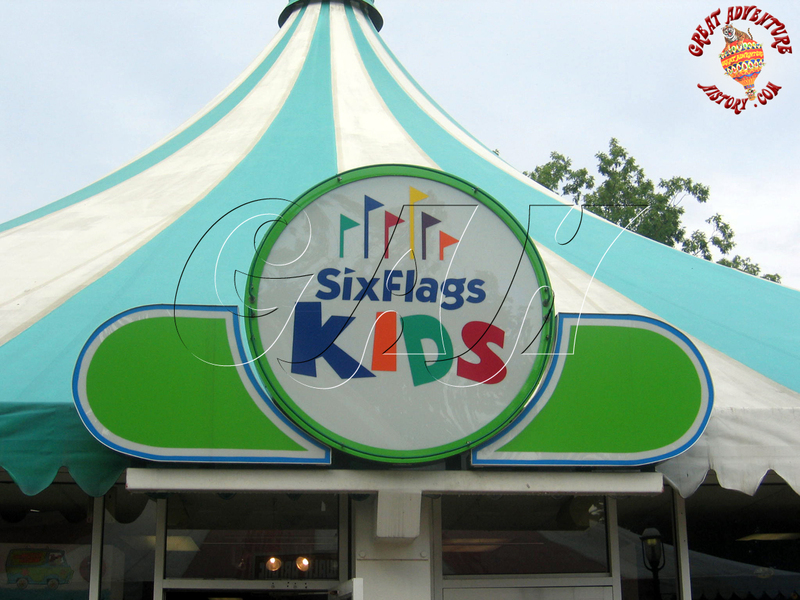 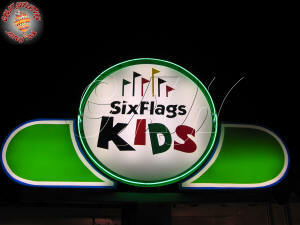 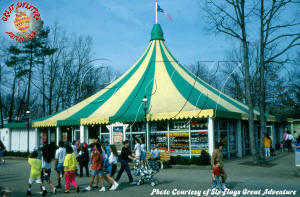 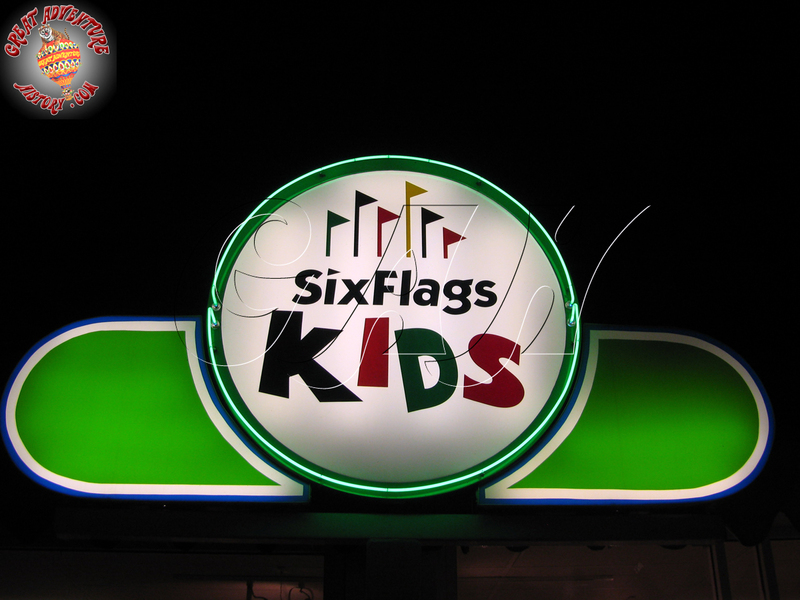 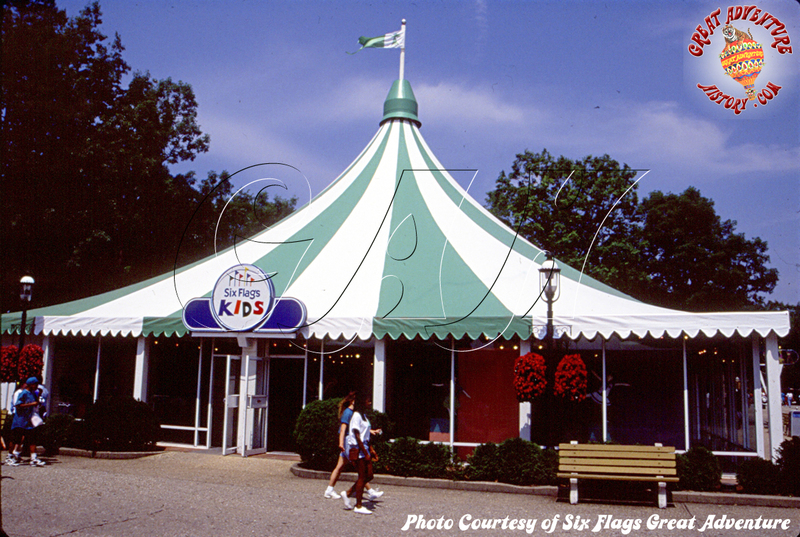 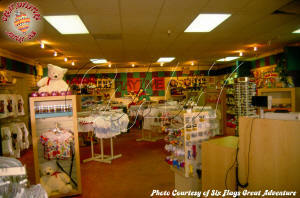 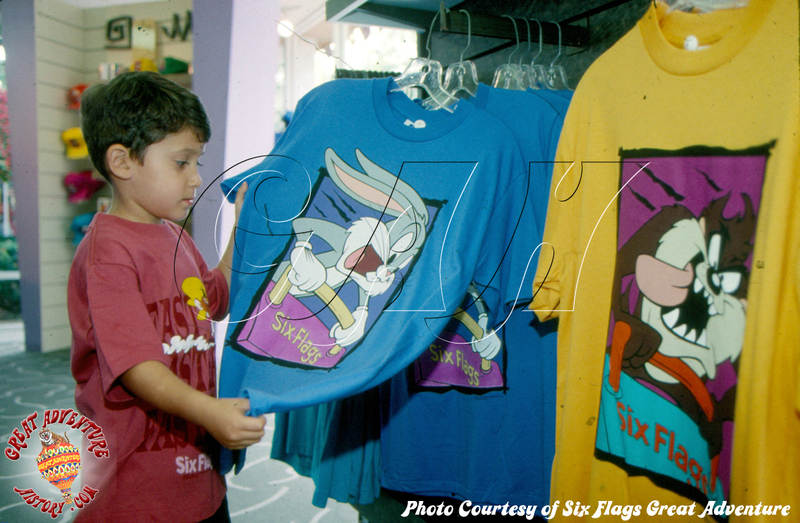 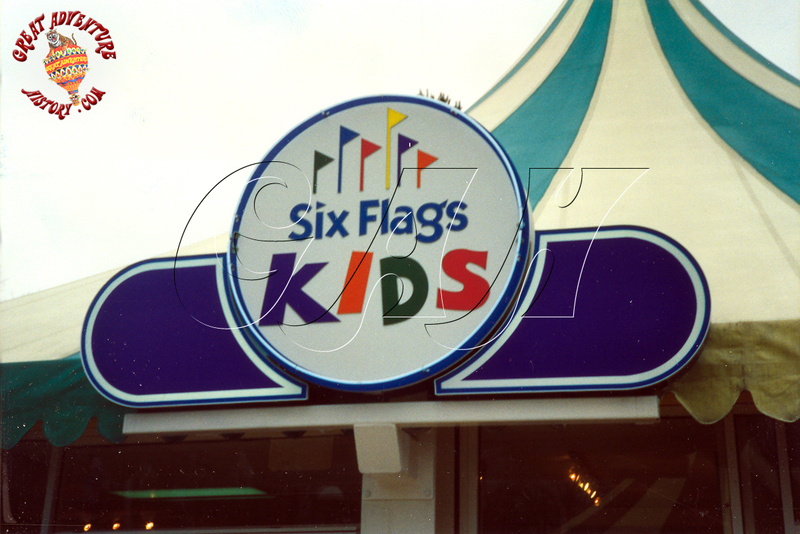 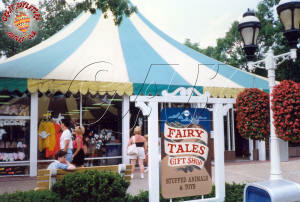 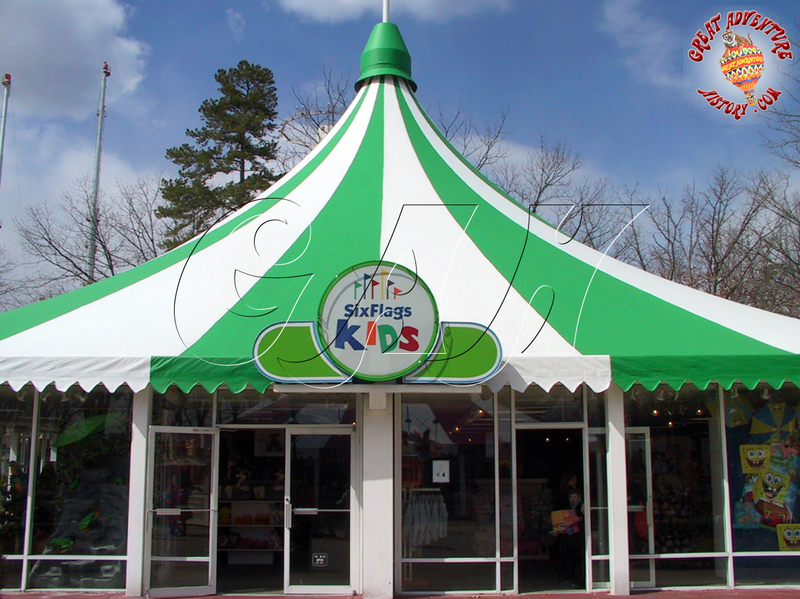 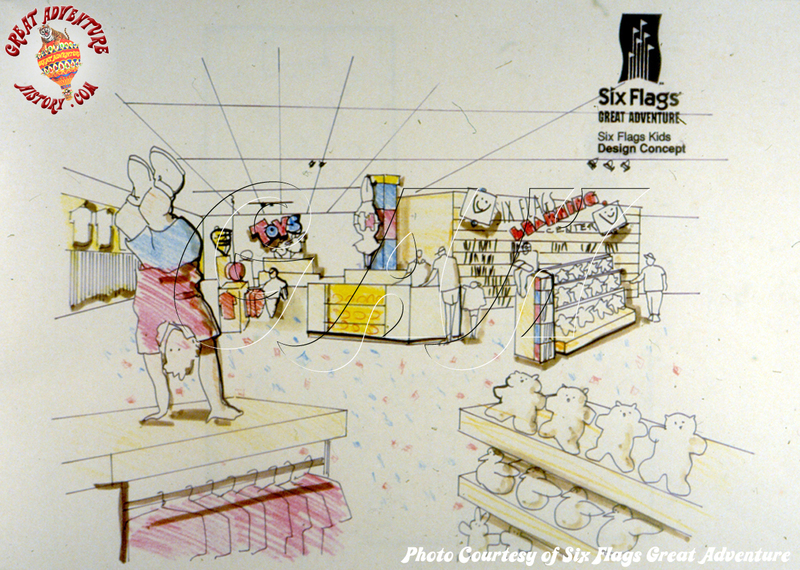 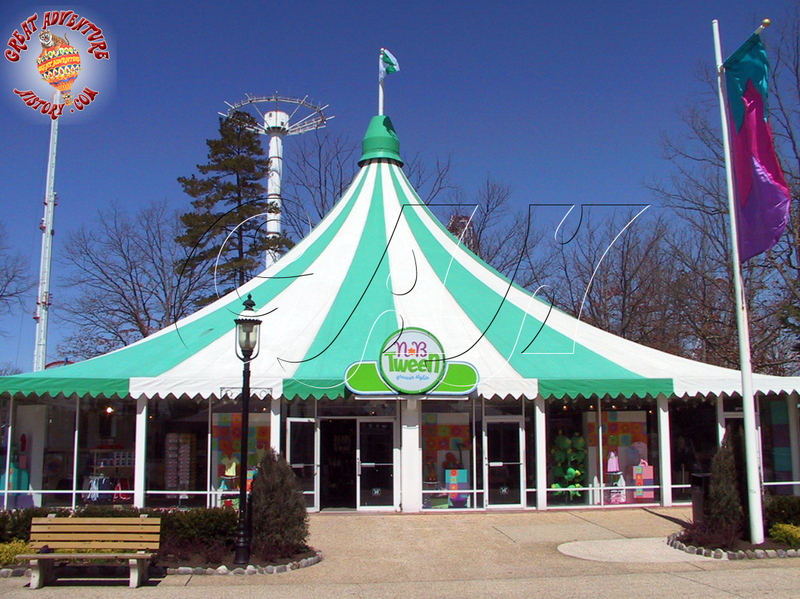 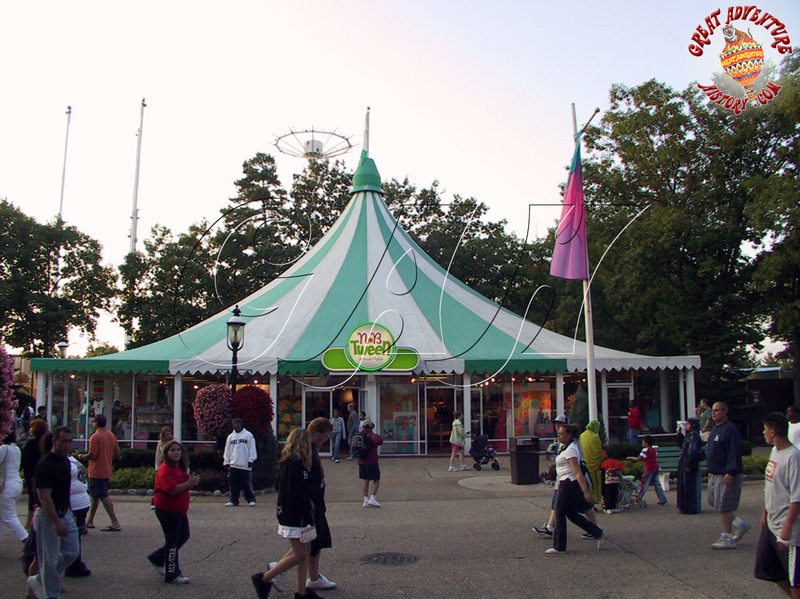 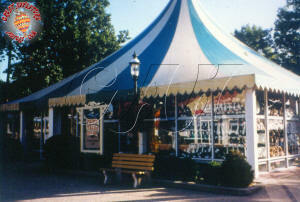 In 1993 Fairy Tales was transformed into Six Flags Kids and given a makeover highlighting the Warner Brothers character merchandise as well as modernizing with a more upscale selection of toys and even books and educational materials. 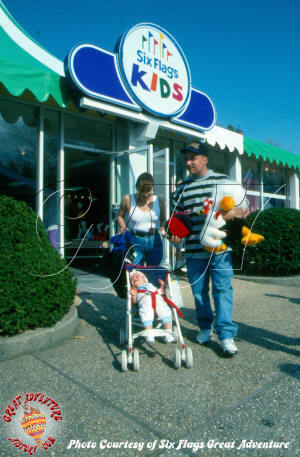 This reflected the trends in kids retail with the rise of stores like Zainy Brainy and the Barnes & Noble bookstores as well as the Disney Stores. 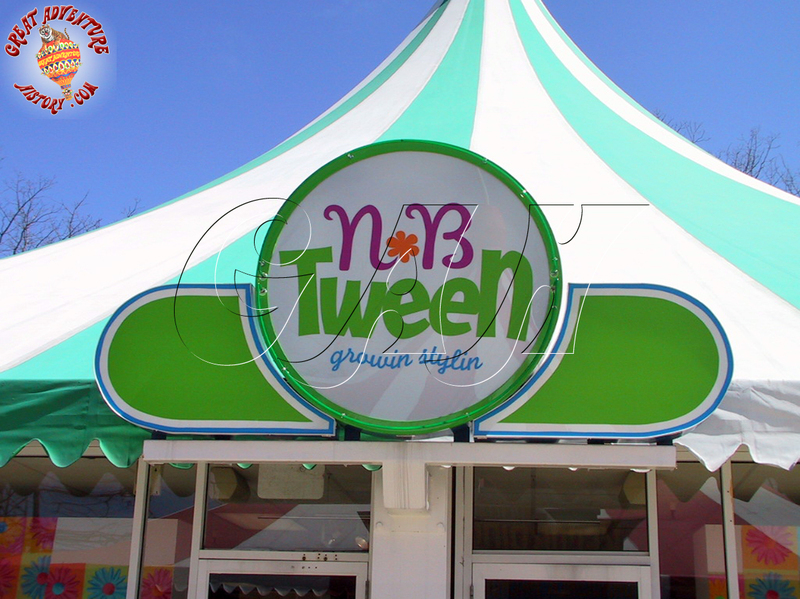 For just one season in 2004 the store was transformed into NB Tween, aiming for a slightly older demographic. 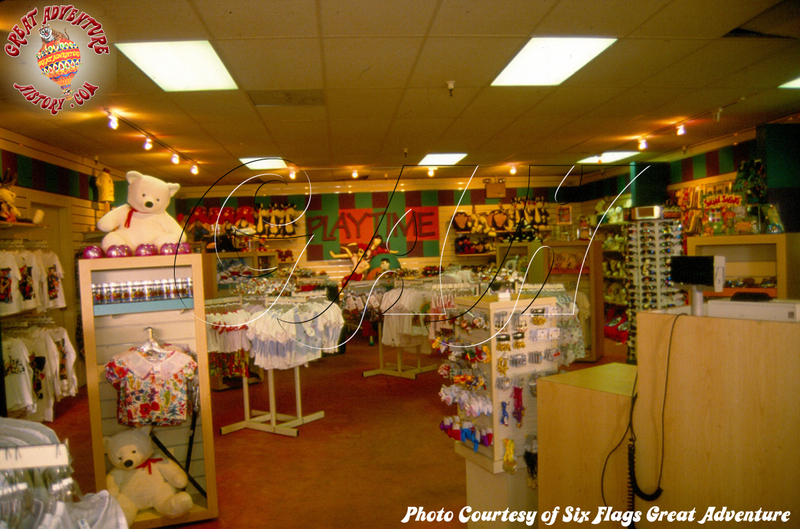 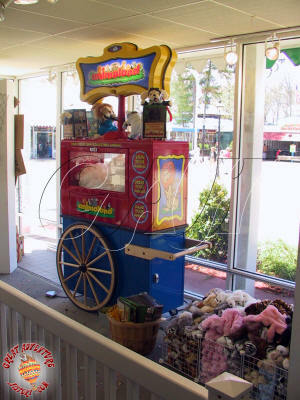 The store turned back to Six Flags Kids again, and the merchandise selections were tweaked with a "Build-A-Bear" style stuffed animal making station. 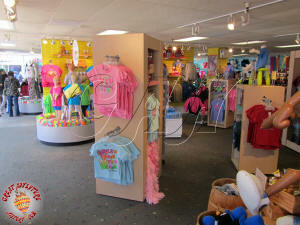 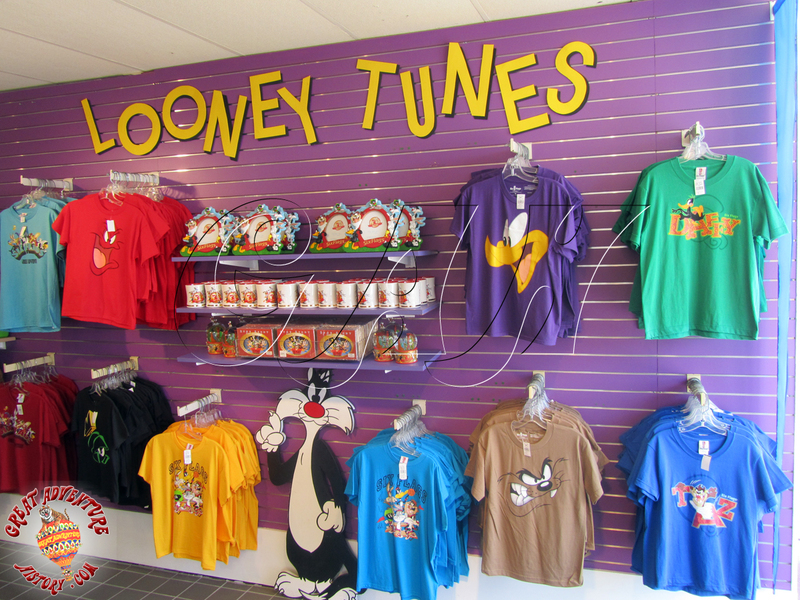 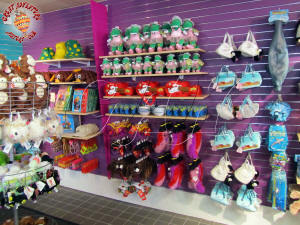 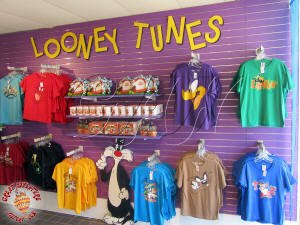 In the following seasons the merchandise selection went through more changes beginning to carry other character merchandise like Disney and other non Warner characters as they looked to increase sales to kids regardless of the park's licensing harkening back to the original Fairy Tales merchandise selection. 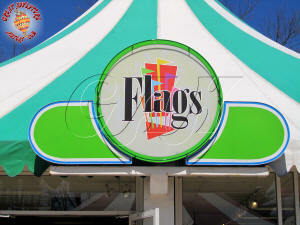 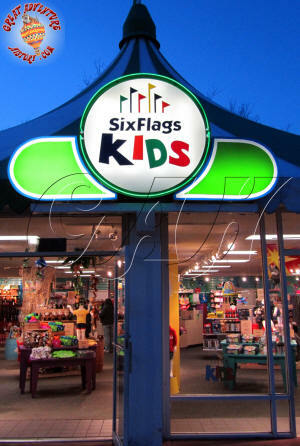 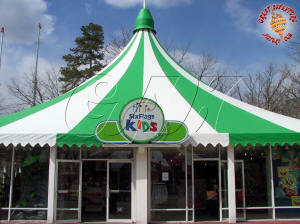 For the 2011 season the store went through another name change, becoming Flags. 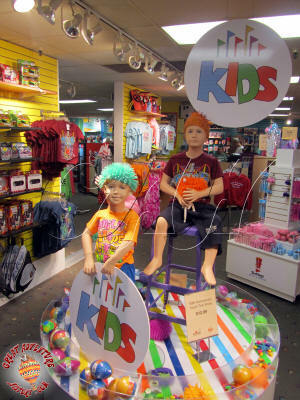 The merchandise selection remained kid oriented despite the name change.